Greenwich Village, 1959. 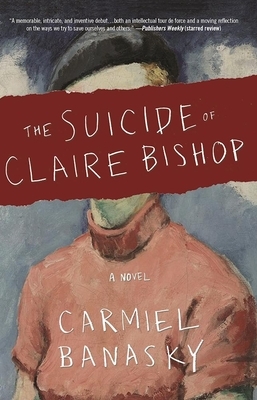 Claire Bishop sits for a portrait -- a gift from her husband -- only to discover that what the artist has actually depicted is Claire's suicide. Haunted by the painting, Claire is forced to redefine herself within a failing marriage and a family history of madness. Shifting ahead to 2004, we meet West, a young man with schizophrenia who is obsessed with a painting he encounters in a gallery: a mysterious image of a woman's suicide. Convinced it was painted by his ex-girlfriend, West constructs an elaborate delusion involving time-travel, Hasidism, art-theft, and the terrifying power of representation. When the two characters finally meet, in the present, delusions are shattered and lives are forever changed. Carmiel Banasky is a writer and teacher from Portland, OR. Her work has appeared in Glimmer Train, American Short Fiction, Slice, Guernica, PEN America, The Rumpus, and NPR, among other places. She earned her MFA from Hunter College and lives in Los Angeles, CA.